Everyone loves ginger cake. 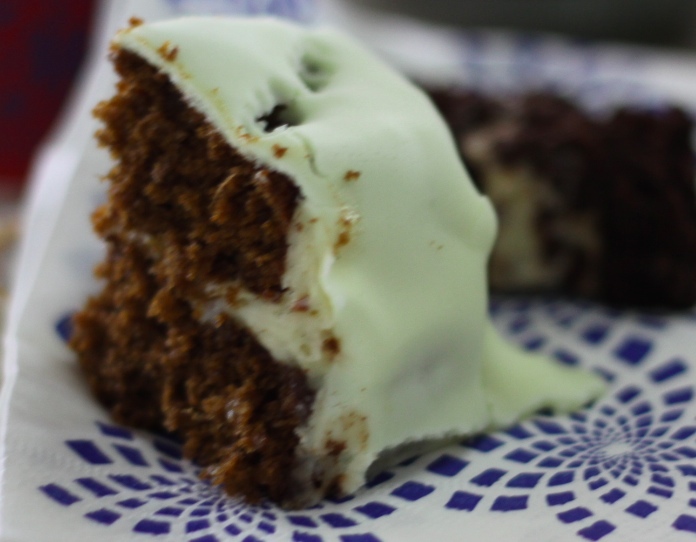 I certainly havent met a ginger cake that I didnt like, even those slightly stodgy, heavy ones. 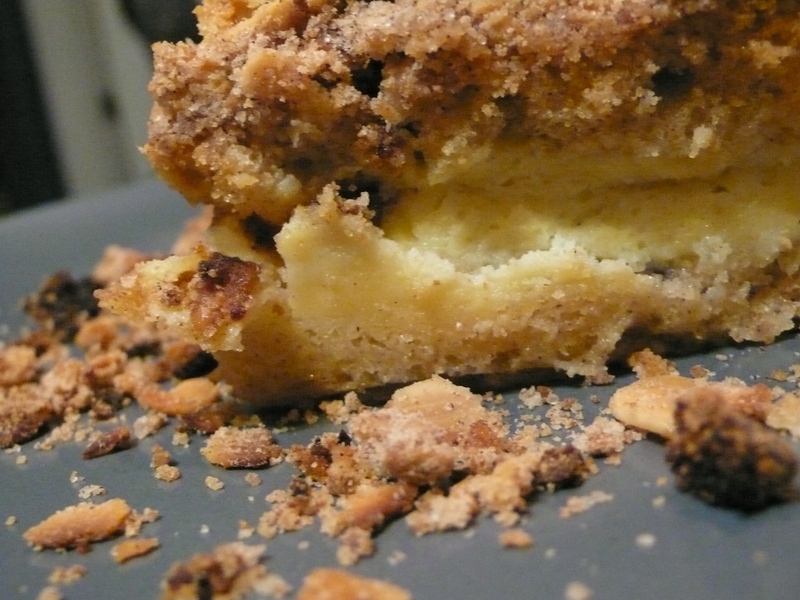 Its the magical melding of ginger and dark sugar, of molasses and heat that creates layers of flavour. Ginger cake is complex. Its a full frontal experience because the spice perks up the taste buds, while the richness and sweetness tease the palette. I have always loved ginger cake, but when I got a whiff of the Bentong ginger available at O’Gourmet Food Hall, I knew I wanted to try my hand at remaking it anew. Bentong ginger is considered the best in the world. It is fresh, crisp, stark and sharply spicy, but it has undertones of sweetness. O’Gourmet Food Hall has organic, locally grown and incredibly fresh Bentong ginger. The scent assails you as soon as you peel the root. The firmness of the ginger, the clarity of the flesh, and the taste. Absolutely gorgeous. I decided I wanted to make a ginger cake with this particular varietal, but I wanted to add more depth to it if possible. I found some ginger curd which has a more muted caramel deep throbbing hum of ginger to it, and some beautiful fresh ground ginger powder which adds a musky beat. A trifecta of ginger in one cake. Would it be too much? Turns out, if youre careful and you add the fresh ginger in stages, you can find a balance of taste that is close on perfect. Add to that the dark tones of brown sugar and molasses, fresh organic eggs, and a frosting of cream cheese and fresh vanilla bean. Sublime. Happy making. And amazingly easy. Do note that if you want a very simple ginger cake, you could just halve the recipe and leave out the frosting. You will then have what is more like a tea cake, still stunningly gingery but a little more sedate and less full on. If you cant find ginger curd, leave it out, but do try and find the freshest, crispest, firmest ginger you can, and use organic ingredients as much as possible. Preheat your oven to 175C (350F), and butter two cake tins, and line with baking paper. In a small bowl, combine the flour, baking soda, salt and ginger powder. Set aside. In a large bowl, whisk together the sugar, molasses, treacle, ginger curd and eggs. Set aside while you melt the butter into the hot water in a small saucepan, over medium heat. Whisk the melted butter and water into the sugar/molasses mixture, and stir in the fresh ginger. It really depends on how strong your ginger is – so I always add 1/2 cup first, and then taste. Add more until you get a peppery almost overwhelmingly ginger taste. Remember that the heat of the oven will mute some of that sting. Stir the flour mixture into the large bowl, and mix until just combined. Pour the batter into the prepared cake tins, and bake in the oven for 20 – 25 minutes, or until a cake tester is inserted and comes out with a few crumbs clinging to it. Remove the cake from the oven, and allow to cool, in the pan, for about 5 – 10 minutes. Turn out onto a rack to cool to room temperature. Meanwhile, add the cream cheese to a stand mixer bowl, and beat for a few minutes until it attains a softened consistency. Add the icing sugar, a tablespoon at a time, and continue to beat. I always like to taste the frosting at each tablespoon of sugar, because I dislike icing that is too sweet. Split the vanilla pods and scrape out the beans and add to the frosting. Beat for a few seconds more until the vanilla is totally integrated. Add a tablespoon of cream (or milk) if the mixture is too stiff. Centre a cake round on a serving plate, and ice the top. Place the second cake round on top, and ice the top and sides of the cake. Refrigerate until half an hour before serving. The other day, I bumped into my friend, MsTina, as I was wandering the halls of O’Gourmet. She took one look at my face, and just laughed. I was wandering in a haze of sensual delight, in one hand a spoon, from tasting the oils and vinegars at Vom Fass, and the other hand rubbing together together a bit of Betong ginger – fresh, organic and local and with a scent that has to be experienced to be believed. I am truly enjoying my weekly sojourns to O’Gourmet because of the quality and variety of ingredients. Inspiration seems to be everywhere. I love all the gorgeous glass bottles of sauce and spice and everything nice. I could just stand and look at all the enticing spices and nuts, tasting this and that, for ages. And dont even get me started on the vegetables! They are so beautiful! Displayed as if in a museum, with the choicest and most perfectly chosen pieces offered up for your pleasure. The woman in charge of the fruits and vegetables, Miss Heng, is a master at knifework, and so she prepares all the produce with an eye to pleasing the visual palate. When I am there, I can be inspired in an instant! This week, my eye was caught by the most beautiful trio of asparagus – white, green and purple. Asparagus is an fascinating vegetable. Grown above ground, in full sunshine, it turns green, but cover it a little, so that only heads peek above, and the limited amount of chlorophyll it consumes means that the asparagus turns out purple. And grown completely underground, and harvested in the early dawn, so that very little light affects its growing, asparagus is clean pure white. Each tastes different – the white can be very sweet, the purple a kind of calm middle ground, and the green has that traditional nutty lemony flavour. I decided I wanted to make an asparagus tart – but then I was captured by the gorgeous leeks and the creamy and fresh mushrooms – both white button and portobello. So I decided that I was going to make a tart which incorporated everything. 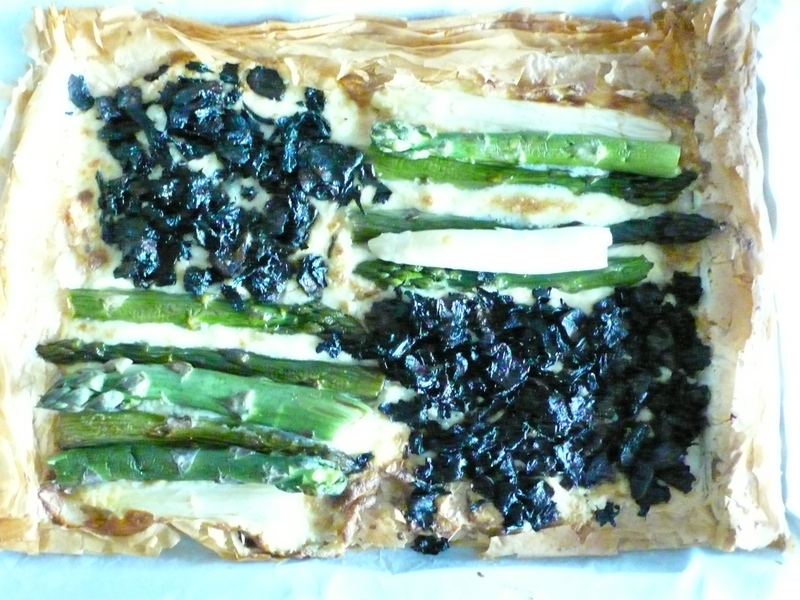 I thought I would use phyllo pastry dough so it would be a rough, freeform tart, and I would place the asparagus and the mushrooms in alternating blocks of intensity on the pastry. From Vom Fass, I sourced gorgeous scented truffle oil for the mushrooms, and a bright, brilliant lemon oil to finish off the asparagus. Now the only decision was what would form the cushion upon which the veggies would sit in splendour. I wanted the process to be simple – as complex as these tastes are, putting together this tart only takes a few minutes. So, of course, a consultation with M. Sebastien at the cheese room was in order (along with a few heavenly tastings of cheese!). He decided on a Crottin de Chavignol to pair with the asparagus. It was a master step. Crottin de Chavignol is perhaps the most famous of the goat cheeses. Its created, to strict standards, in a tiny village in the Loire valley. Its creamy, nutty, slightly tart – and perfectly balances the delicacy of the asparagus. For the mushrooms, we decided on a Pecorino al Tartufo – a young pecorino, stuffed to the gills with truffles. The scent was overwhelmingly blowsily lush, and I could have purred with happiness right then and there. To bind them together, I decided on using a little cream cheese (and in a bold move), some Delice de Bourgogne – a gorgeous cow’s milk cheese which tastes like organic cream imbued with sunshine and hay. Its like a brie, but less strong – its centre was crumbly and yet yeilding, and the edges were thickly creamy. What a cheese! I would suggest, if you have a good cheese shop, to go, taste, and consult. There are few experiences quite so lovely as the careful contemplation of beautiful cheese. And a cheese master can help you pair cheese – particularly if you tell them exactly how you will use it – with various vegetables and foods. If you are making this tart from what you can find in the market, I would look for a good parmesan or pecorino, some goat’s cheese and a great cream cheese. This recipe is definitely adaptable – use your own cooking intelligence, your sense of taste and balance, and it will be gorgeous! While this recipe is simple, there are a few steps to be followed. Because of the phyllo pastry, you want to make sure that the ingredients are not wet, otherwise the pastry will be soggy. Most, if not all, of the work can be done before hand. Prebake the pastry for ten minutes – it can be kept in the fridge up to 2 days. Mix and mash the cheeses, and keep covered in the fridge until ready to use. And blanch the asparagus (they live longer in the fridge if slightly blanched) and prep the mushrooms up to three days in advance. Assembly of the tart takes minutes (particularly if youve already baked the shell), and once baked, the tart can be kept in the fridge, for up to two days, reheated in a low oven, covered, just before serving. Place the dried mushrooms in a bowl, and cover completely with boiling water. Let stand for ten minutes while you prep all the vegetables. Once the mushrooms have softened, remove from the water with a sieve in a scooping motion. I dont drain the mushrooms because the silt from the mushrooms tends to come with them, so I simply scoop them out of the water they have been softening in. Place the softened mushrooms in a saucepan, cover with water, and simmer over medium heat for about 15 minutes. Drain and chop roughly. Set aside. In a large frying pan, over medium heat, melt the butter into the oil. Add the leek, and saute for about 5 minutes, or until the leek has softened, and turned glossy. Add the fresh mushrooms, half a cup at a time. You want them to saute, and quickly lose their water without becoming soggy. Stir well after every addition, and season with salt and pepper. About half way through your mushrooms, add the red wine, increase the heat to high, and let the mushrooms absorb the wine and bubble away. It shouldnt take too long for the wine to almost completely evaporate. Add the rest of the fresh mushrooms, adjusting seasoning, and stirring well. Allow them to saute till almost dry, and then add the balsamic. This will caramelise the mushrooms and bring out their dark sweet quality. Add the reserved chopped dried mushrooms, adjust seasoning, and allow to cook for about 5 minutes on medium high heat. Taste and adjust seasoning if needed, and set aside until at room temperature. These mushrooms can be used in pasta, salad, sandwiches – whatever strikes your fancy! They will keep for 3 – 5 days in the fridge, well covered. 1 bunch of asparagus – 6 – 9 stalks if large – if you can get a mixed colour variety, do so – it looks dramatically gorgeous! Prepare the asparagus. Wash clean in running water, and then take each stalk, and snap near the base. It will snap naturally – the base bits can be frozen and used for soup or a pasta sauce base at another time. Place the asparagus in a large bowl, and cover completely with boiling water. Allow to sit for a few minutes, until the asparagus has turned bright green. This really depends on the thickness of your asparagus – if you are using the thin delicate type, this may only be a few seconds, thicker varieties will need 3 minutes or so. Remove the asparagus from the boiling water with tongs, and place in an ice water bath immediately. Or place in another bowl, and run very cold water over. For the asparagus cheese: Place 100 g cream cheese in a small bowl. Cut the rind off the Delice de Bourgogne (if using), and mash into the cream cheese using a fork. Cut the rinds off the Crottin de Chavignol, and mash the cheese in as well. Add 1 tsp lemon oil or olive oil, and taste. Cover and reserve in the fridge for up to two days. For the mushroom cheese: Place 100 g cream cheese in a small bowl. Cut the rind off the Delice de Bourgogne (if using), and mash into the cream cheese using a fork. Grate or crumble the Pecorino al Tartufo into the bowl, and mash to combine. Add the truffle oil and taste. Cover and reserve in the fridge for up to two days. Phyllo pastry is very difficult to make by hand because its so thin and delicate. Purchase a good quality phyllo from the store, and treat it well, and you will be fine. Defrost in the fridge for a day before use, or for 2 hours at room temperature. When you unroll the phyllo, place on a board or in a jelly roll pan, and cover with a damp cloth. Preheat the oven to 170C (350F), and line a baking sheet or jelly roll pan with parchment paper. Melt the butter in a small saucepan, and allow it to just brown a bit. This will add immeasurably to the flavour of the finished product. Add the olive oil and mix well. Let come to room temperature. Place one or two sheets of phyllo pastry on the parchment lined sheet, and brush gently with the butter/oil mixture. Gently place another layer of phyllo over and brush with the butter/oil mixture. Continue until the entire package of phyllo pastry has been finished – usually about 15 – 20 layers. Sometimes I double the layers of pastry between brushes of butter and oil. Create edges along the sides of the tart by folding inward about an inch, along all four sides. Prick the internal pastry with a fork, gently – otherwise the phyllo will puff up. Bake in the oven for about 10 – 12 minutes, or until lightly browned. Cool to room temperature, and reserve, for up to 2 days, tightly wrapped in the fridge. Preheat oven to 170C (350F). Make sure everything is at room temperature. Look at the tart case. It should be a large rectangle. In your mind’s eye, divide the rectangle up into four quarters. Working from the bottom up, spoon asparagus cheese in the left lower quarter, mushroom cheese in the right lower quarter, asparagus cheese in the upper right quarter, and finish off with mushroom cheese in the upper left quarter. Layer the asparagus over the quarters which hold the asparagus cheese, and spoon the mushrooms over the mushroom cheese. Finish off with just a little dribble of oil. Bake for 35 – 45 minutes in the oven, until the cheese is bubbling and burnished, and the pastry is a dark golden brown. Allow to sit for 5 minutes before serving, or serve at room temperature. Will keep in the fridge, fully baked, tightly covered, for up to 2 days. Reheat in a gentle oven, covered in tin foil to avoid burning, for about 20 minutes. This cake is adapted from Tamasin Day-Lewis from her Kitchen Classics book. She got the recipe from her assistant, who got it from her Auntie Fei. So this recipe has been handed down and redrafted at least four times – which is one of the things I love about cooking. You can tell someone how you made a dish, you can even write out a recipe for them. As soon as they get it home, look in the fridge and realise they have raisins rather than an apple, or creme fraiche rather than sour cream, they substitute and change around and add. Its human nature, but its also what makes cooking so personal. As soon as you have any confidence in the kitchen, you know what you like, and you adapt things to that sense of taste and artistry. Its why I love eating other people’s cooking so much. They expose their sense of taste, colour, texture, flavour and fun through what they cook, and how they cook it. And I must admit something here. This cake actually has nuts in it! I usually dont go for cake with nuts. Ever. I took the nuts out of the sublime carrot cake from yesterday. I would never make anything chocolate with nuts. I love nuts, but not with sweet, except in this cake (well, may be I would use almond meal in a cake in place of flour in a pinch, but thats another story). Here, the nuts act as the texture component, and elevate the coffee cake with their smoky crunchy bite. They also cut the creaminess of the cake well – its made with sour cream, and layered with cream cheese, so its very rich. The nuts help that richness stay balanced. I use almonds because I find them the least offensive of nuts in sweet things, but you could use hazelnuts, walnuts, pecans, or even macadamias if you like. Making this cake is not hard, but I would certainly make the filling and topping first, before making the batter. That way, the final assembly is quick and easy. Also, you can make it in a bundt pan, but I didnt want to, so I made it in a cake tin. Cooking time is about 10 – 15 minutes less in a bundt pan so watch for that. Eat this at breakfast or during a coffee break, for a tea time snack or as dessert. Its delicious any which way, but I particularly like it warm from the oven. Please make sure you get a good cream cheese. That Philadelphia stuff is full of stabilisers, gums and other chemicals. If you can find a natural, organic or locally made cream cheese, get that. The difference is huge. Beat all ingredients together till light and creamy, and set aside. In a medium to large frying pan, toast the almonds (or other nuts) until they become light golden. Divide into 3/4 cup and 1/4 cup. Set the smaller amount aside to use with the filling, and place the 3/4 cup of almonds in a bowl along with the flour, sugar, salt and cinnamon. Melt the butter, add the vanilla extract to the melted butter, and mix into the almond-flour mixture. It will be crumbly. Set aside. In a mixing bowl, cream the butter and sugar until light and fluffy. Beat in the eggs, one at a time. Meanwhile, sift together the flour, baking soda, baking powder, cinnamon and salt. In a separate bowl, mix together the sour cream and vanilla. Beat the dry ingredients and sour cream into the butter-sugar-egg mixture bit by bit – I usually mix in a couple tablespoons flour, then a couple tablespoons sour cream, etc, until you have a smooth batter. Butter a cake pan, or a bundt pan with removable sides, well. I usually put some baking paper on the bottom of my cake tin, and butter that as well, just to make removal a bit easier. Pour about half of the cake mixture into the prepared cake tin, and smooth. Sprinkle on the diced apple, and then the reserved almonds. Spoon over the cream cheese filling, making sure you get it smeared up against the sides, and dropped throughout the interior of the pan. Top with the remaining cake batter. Smooth the top, and sprinkle over the filling. Using a fork or spoon, fold over a little batter so that you have spots of batter peaking through the filling. Bake for 55 – 65 minutes depending on your pan, or until a cake tester comes out with crumbs. Allow to cool on a rack for at least 20 – 30 minutes before unmolding, cutting and devouring. I cant tell you how much I love this cake. It looks like a huge effort but if you break it down into its component parts, and you start at least two days in advance, it’s a doddle. The recipe for this cake comes from the Frog Commissary Cookbook – probably my favourite cookbook of all times. My first version was so battered, I could barely read the recipes anymore, but it didn’t matter – I had cooked the food so often, I kind of knew what needed to go in and where. Steven Poses totally innovated the Philadelphia food scene, and this cookbook really highlights easy, casual, scrumptious American cooking. This carrot cake is something that once you make, every single person who has tasted it will ask you when you are making it again. You will become known for this cake, and you will be begged for the recipe. It will become your signature, and people will talk of you and the carrot cake together, in the same hushed awed tones. Its really that good! As a breakfast after cooking a feast, it is a sublime cooks treat. It’s a pain to make in one go because there are so many steps, but easy enough if you cook the caramel stuffing and assemble the cream cheese frosting a day or two before hand. The cake can be baked the night before, and everything put together on the day. Seriously, this recipe will become something which will bring you fame, and depending on who you serve it to, may be even love! Heh. We have the opportunity here to look at how our shopping choices affect the taste of our food. Its carrot cake. PLEASE buy organic carrots for this. It will make a world of difference. Get the slightly more expensive French butter if you can for the frosting – but you can use the cheaper butter for the caramel stuffing. If you are watching your budget, these things are important. Because the frosting is butter, cream cheese and vanilla, whipped together and uncooked, the actual flavour of the butter is very important. Because you cook the butter into the sugar for the caramel stuffing, the flavour gets muted and changes, and thus does not have so much responsibility. I have made changes to the original recipe. I hate nuts in dessert. I don’t know why, I just do. I love nuts but don’t mix them with chocolate or cake or brownies for me. They interfere with the original taste, and don’t do anything to add to it. In this carrot cake, especially, I don’t like anything to interfere with its smooth unctuousness. There is something so luscious about how this cake feels in the mouth that nuts just interfere with the sensual experience for me. I have taken out the pecans in the cake and the caramel stuffing – add in if you like nuts. Ugh. I have also added mixed-spice as I like the low musky note it adds, and I have upped the cinnamon as I don’t think you can ever have enough cinnamon! This cake is most easily made if you start it at least one day ahead, preferably two, since the caramel filling, for one thing, is best left to chill overnight, and the cake needs at least a day or so to firm up. The different components can be made even up to several days in advance and stored separately until you are ready to assemble the cake (as early as the night before you will serve it). 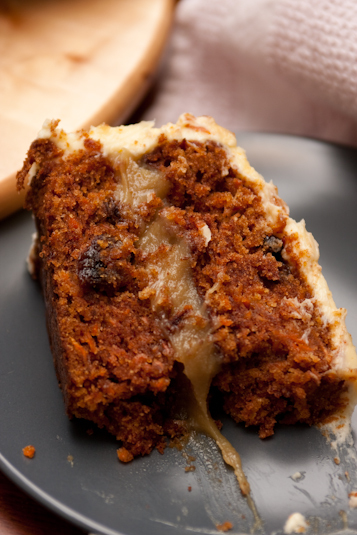 (This is the “stuffing” of the carrot cake – between the two layers of cake). OPTIONAL: 1 1/4 cups chopped pecans (I dont use nuts in this cake because I dont like cake with nuts, but feel free to add them if you like. You can use walnuts, or even dried coconut if you like). In a very heavy saucepan, blend well the sugar(s), flour and salt. Gradually stir in the cream. Make sure they are blended – the dry ingredients will slowly absorb the cream. Leave this for a few minutes to let the sugar really melt into the cream. Chop up the butter and add to the saucepan. Put the saucepan on low heat and stir as the butter melts. You will see the butter getting absorbed into the creamy mixture as it melts. Once the butter is absorbed, stir in 1 teaspoon of the vanilla. Simmer the mixture for 20 – 30 minutes (up to an hour depending on the heat), stirring occasionally. It will start to pop and sizzle. Make sure you stir so the bottom and sides of the pan get scraped down. Once the caramel is golden brown to nut brown in colour (again, depending on your taste), and the mixture is thick, take off the heat and cool to lukewarm. Add the remaining vanilla (I usually add at least another teaspoon because of how weak the vanilla is in Malaysia), and the nuts or coconut if you are using them (don’t!). Let cool completely and refrigerate, preferably overnight. If its too thick to spread when you are ready to assemble the components, let it warm a little to spreading consistency. Just before spreading, sprinkle the Maldon or Fleur de sel over the caramel. Any extra is SUPERB with vanilla ice cream as a topping. OPTIONAL 1 cup chopped pecans (see above re nuts in cake). In a large bowl whisk together the corn oil and the sugars until the oil is absorbed into the sugar. Leave to let the mixture meld for a while. Meanwhile, mix the flour, cinnamon, mixed spice, baking powder, baking soda and salt together in a separate bowl. Sift half of the dry ingredients over the sugar-oil mixture and blend. Alternately sift in the rest of the dry ingredients while adding the eggs (lightly beaten), one by one. Combine all well, and leave to sit for a bit while you grate the carrots. Add the carrots, the raisins and (if you are using them) the pecans. Pour mixture into prepared pans and bake for about 25 – 30 minutes, or until a knife inserted comes out clean. Cool upright in the pan on a cooling rack. Unmold the cake before you refrigerate it if you are not using the cake that day. Wrap it well in plastic wrap or a clean kitchen towel. I think this is best made at least 1 – 2 days in advance. Too fresh a cake makes it very difficult to cut – I used a very fresh cake at my last party, and after the first few slices, the cake was unfolding herself like a blowsy lady who had too much to drink at a party! Using electric beaters, cream the butter well. Add the cream cheese and beat until well blended. Sift in the sugar and the vanilla. Depending on the consistency of the frosting, leave in fridge for a few minutes (if too soft) or add a little sour cream or milk (if too stiff). Centre the cake on your serving plate. Depending on your taste, use a serrated knife to cut the cake into 2 – 3 layers. Spread the caramel filling between the layers of cake. You may have to use a spoon and just drop the thick caramel onto the layers. Spread the frosting over the top and sides. Refrigerate to let the cake hold itself together. Serve cake at room temperature.